The thought of Spring in the Northwest may seem far away, but if these pastel gems don't make you happy, at this point I think we are all doomed. Walking the floor at WWDMAGIC I spotted many trends for Spring and Summer. One of my favorites being anything in pastel. Here are some of my favorite picks and…guess what, friends?! They are all under $100! Even though these choices are all super feminine on their own, I love the idea of styling these pieces with a leather jacket, black booties or distressed skinnies. What do you think? 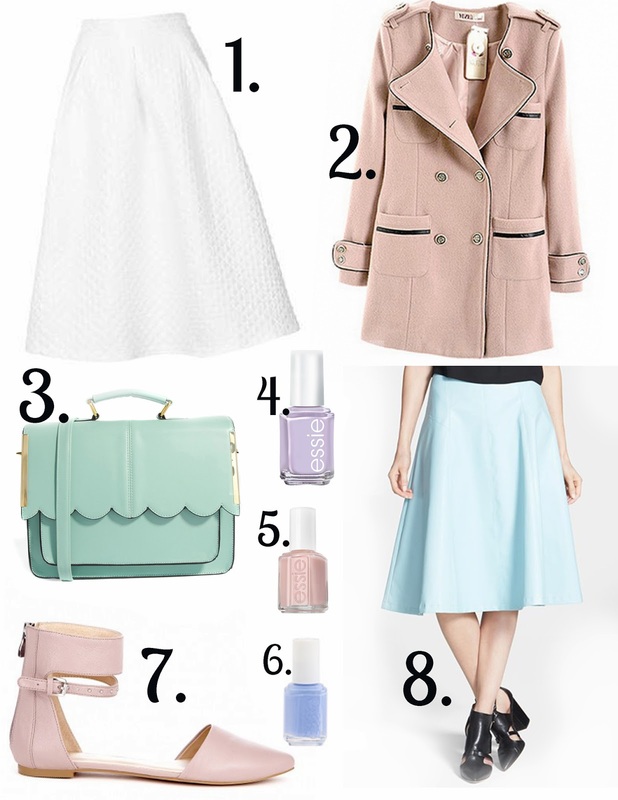 Will you be rocking pastels this Spring/ Summer? I love that mint colored purse, it is too darn cute for this spring! I think you gave me a powder blue addiction!! Love this post.